Compaction occurs when a force compresses the soil and pushes air and water out of it. The result being the soil becomes denser and less productive. 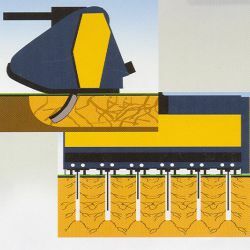 Compaction is caused by machinery and continual treading from animals and people. 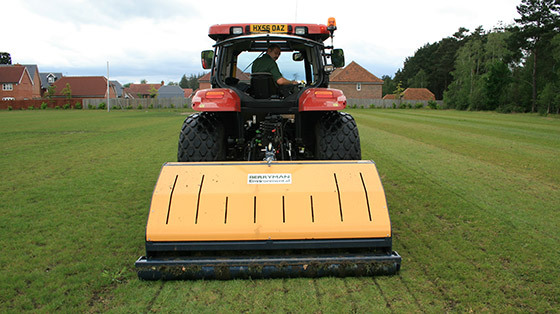 Sports fields can also become compacted, especially from intensive use they receive during the wet winter months. 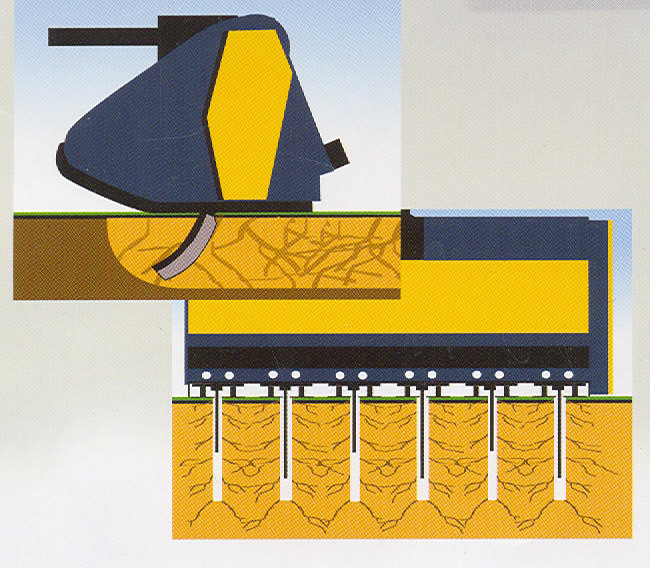 Compaction effects plant growth. 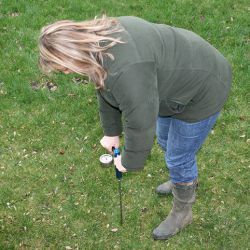 Primarily there are insufficient pores or spaces within the compacted soil to allow for unrestricted root development, water filtration, adequate drainage or air circulation. This prevents the restricted roots from taking up sufficient water or nutrients from the soil causing severe degradation. 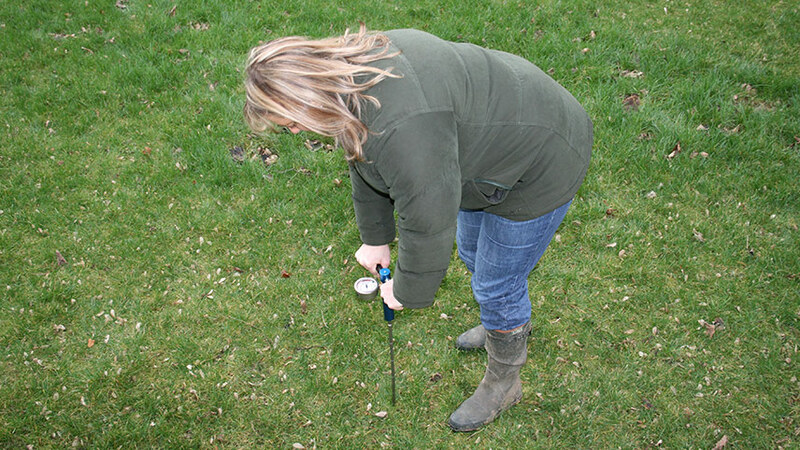 We can accurately identify the areas of compaction, measure the depth and the PSI of the compacted soils with our hydraulic compaction meter. This enables us to set the working depth of the equipment, so that we target and shatter the compacted soil to ensure the perfect result. Much reduced plant growth and lower yields, particularly during periods of drought. Increased likelihood of water runoff, erosion and surface ponding. Expensive spring repairs to damaged sward. 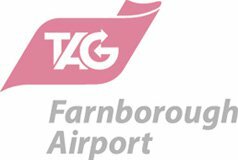 Reduced usage or closure of the facility due to water logging. Increased risk of human/and or animal injury from the hard playing surface. 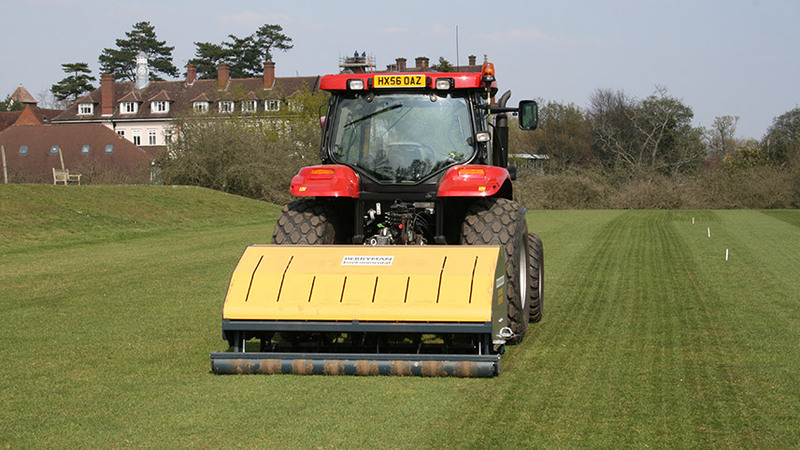 Decompaction by using rotary soil decompactors allows us to shatter compaction up to depths of 15 inches (38 cm). 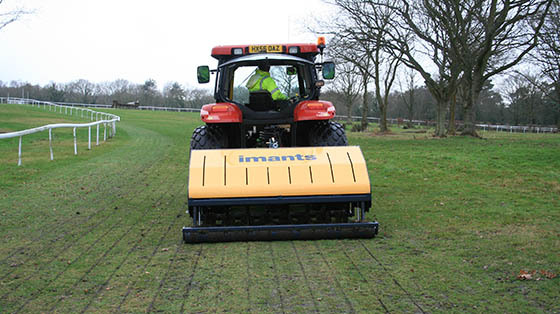 This causes the absolute minimum of surface disturbance and incurs no loss of facility use. 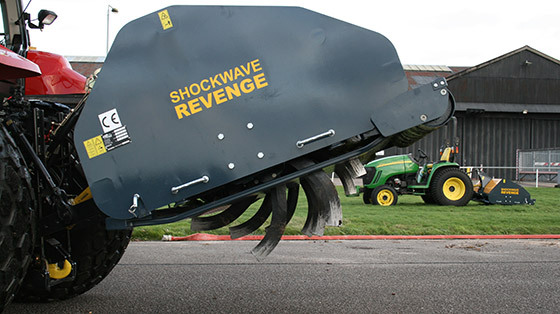 Soil displaced by the blade action, combined with the forward speed , sets up a wave action shattering both soil laterally and decompacting consistently from the surface to the full working depth without surface damage. This loosening of the soil structure enables the water and air to permeate throughout. 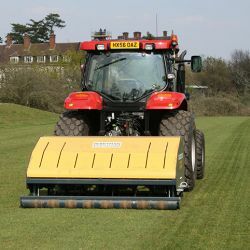 This greatly improves the drainage, aeration and nutrient uptake of the plant and its subsequent development.